Eureka, Nevada, first settled in 1864, is located in the heart of wild horse country in central Nevada. This town is called the home of the American Curly Horse as a breed. This remote ranching and mining town is also named the Loneliest Town on the Loneliest Road in America, U.S. Highway 50. The surrounding Great Basin countryside is a high-altitude cold desert dominated by sagebrush flats and surrounded by steep mountains. Only the strongest people and animals survive this harsh environment. However, there has always been a lure of adventure about this remote region. Perhaps this is what brought Giovanni (later called John) Damele to Eureka. John Damele arrived in Eureka from Genoa, Italy in 1879. He worked as a woodcutter for 11 years, helping provide wood for the charcoal ovens that fueled smelter furnaces for the local silver and lead mines. John saved up enough money to bring his wife and three children from Italy to join him in Eureka. In 1898, John Damele and his family made a down payment on the Three Bar Ranch northwest of Eureka near the Roberts Creek Mountains. The Damele family began raising cattle and horses. 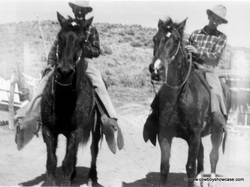 He and his two boys while riding, checking cattle saw horses with “curly hair” running with the mustang wild horse herds. The sight of horses with long curly hair was not easily forgotten. Wild horses in Nevada originated from several sources, primarily from animals that were released by or escaped from Spanish explorers, ranchers, miners, the U.S. Cavalry, and American Indians. Around 1931, the Dameles caught a Curly horse out of the mustangs. They took this horse back to the ranch, broke the horse to ride, and latter sold it. 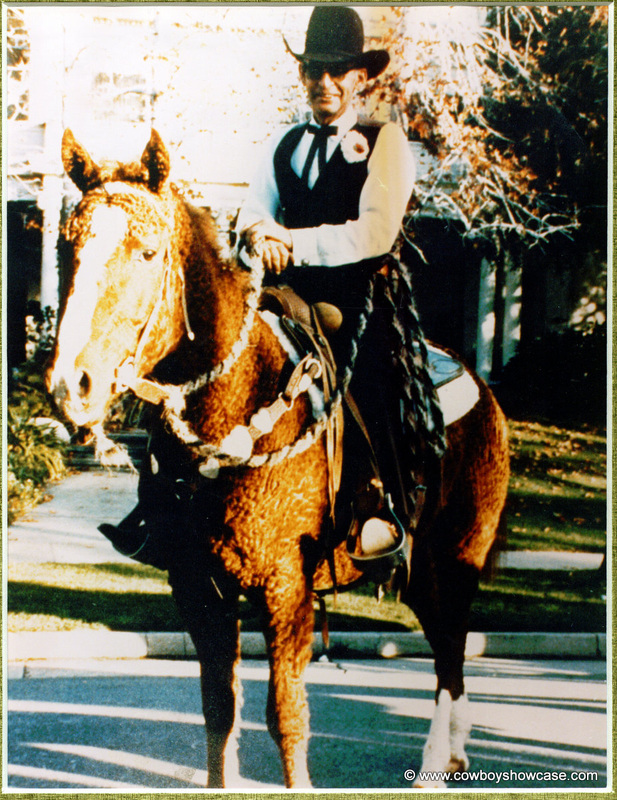 According to Damele family history, this was their first experience with handling and training Curly horses. In 1932 there was a devastating winter in the Three Bar Ranch country. Deep snow and bitter cold hung on for months. When spring came and the ranch horses were gathered from where they had “wintered out,” the only horses the Damele boys could find alive were the Curly horses. All of the non-Curly horses had perished in this hard winter. No one needed to tell the Dameles what they had witnessed. This was a real turning point in their thinking. True stockman that they were, they realized that if the “curlies” could be broken to ride and turned into cow horses, they certainly could be relied upon to stay alive when other horses perished in the harsh winters of Central Nevada. In the fall of 1942 Peter L. Damele, John’s son, his wife and two sons, Peter J. and Benny bought and moved to the Dry Creek Ranch that lays 25 miles southwest of the Three Bar Ranch. 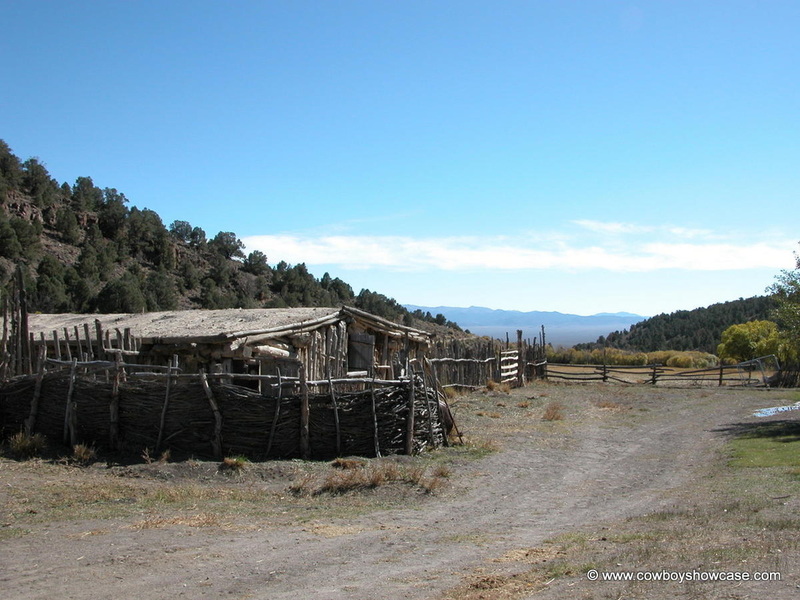 This ranch is on the Pony Express trail. A Pony Express horse-changing station was located near the Dry Creek Ranch headquarters during 1860 and 1861. They also purchased the Ackerman Ranch, which lays 12 miles north of Dry Creek. The Dameles registered the 3D brand. This brand is placed on the left thigh on horses and left hip on cattle. This 3D brand is still used on horses and cattle on the Dry Creek and Ackerman ranches which the Dameles own today. The winter of 1951 and 1952 was another brutal, cold winter with deep snow. When spring came, once again, the only horses left alive were the Curlies. The Dameles decided to start breeding Curly horses in earnest that spring. Before that, Curlies had just been around in the horse herd. They caught their first Curly horse stud out of a herd of mustangs, named him Copper D, and broke to him ride as a two-year old. The Dameles bred the Curly horses and raised cattle on the Dry Creek and Ackerman Ranches. At one time, they had hundreds of brood mares running out in “stud bands. A single stallion could cover about thirty mares outside. So there was a need for quite a few studs in this big open country. 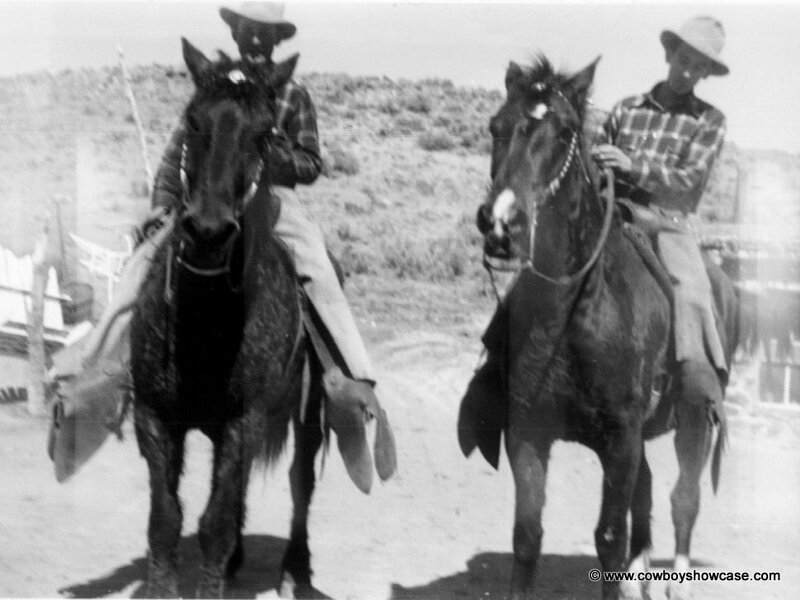 To handle these big numbers of horses on the open range, you needed to have good hands on horseback. The Damele boys were among the best. Running these horses and catching them in different ways occupied much of their time. The Dameles were not as concerned with the Curly horse as a pure breed. They had specific needs for their horses and they also had certain ideas about what they wanted their horses to look like. When the Dameles first began catching Curly horses out of the Mustang herds, they were big coarse-looking horses with non-refined heads, bodies, and legs. The country around the Dry Creek and Ackerman Ranches is steep and rocky on the East Slope of the Simpson Park Mountain Range. Dameles wanted their horses be able to handle steep mountains, to be good in the rocks, stay sound, survive bad winters, take the “big outside circle” on the flats, drag calves to the fire, and be gentle. 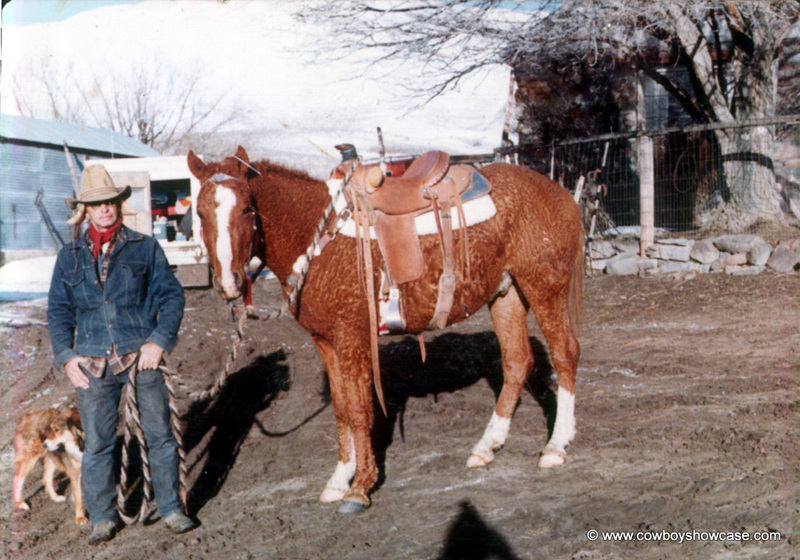 They wanted to breed a ranch horse that could do it all. They soon found out that the Curly horse could do all of this and maybe more. The Dameles purchased many different studs over the years to be used on their “outside” brood mares. Some of the better-known studs were: a registered Morgan Stud, Ruby Red; a registered Arabian stallion, Nevada Red; and an unregistered Appaloosa stallion. The more famous American Curly Horse studs were: Peacock D, Grulla D, Dixie D, Dusty D, and the most famous Damele Curly Horse stud Copper D. Damele horses with the 3D brand started showing up in several states after people purchased horses from them. The Curly horse gene is reportedly dominant in breeding. 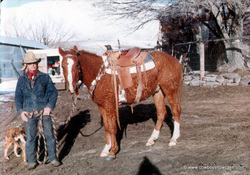 Many of the Curly horses around the world today go back to the Curly horse stud Copper D.
In 1971 a big change took place for the Dameles and other ranchers in the Great Basin. The Congress of The United States passed the Wild Free-Roaming Horse and Burro Act. 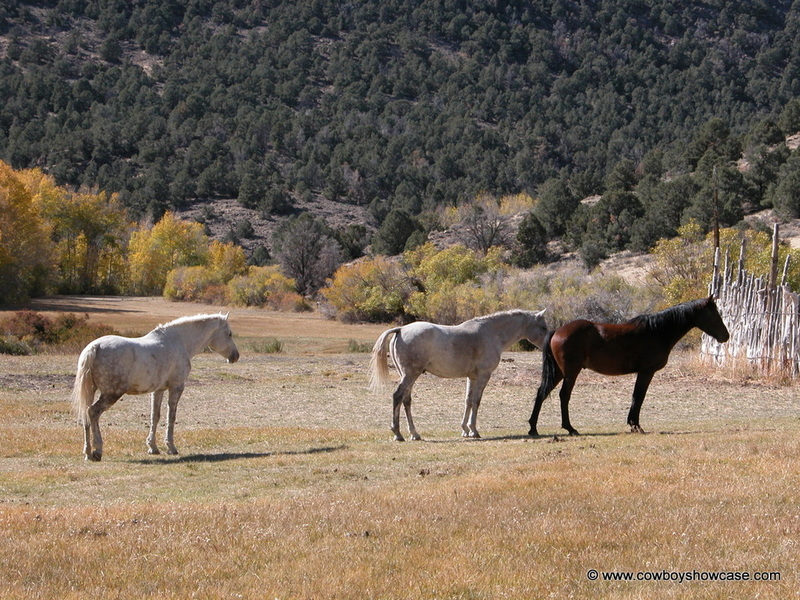 Wild mustang herds on Nevada rangelands began to be managed by the Bureau of Land Management and the U.S.	Forest Service. Nevada is home to more than one-half of the nation’s wild horses. Herd Management areas were drawn up and monitored by the Bureau of Land Management and U. S Forest Service. The days of ranchers running their outside mares with studs on Federal lands was drastically reduced. An Irishman named Tom Dixon imported curly horses to the Eureka area. Dixon imported two pregnant Curly mares and a Curly stud from India and turned them loose with the mustangs in the 1880s. The horses are native born mutations. The horses are remnants of pre-Spanish horses. There are still reports by the ranchers and Bureau of Land Management employees that Curly horses have been recently observed running with the mustangs in Eureka County, Nevada. The coat of a Curly horse is the most distinguishing feature that sets it aside from other breeds of horses. In the winter, their coat displays long curls. Often they shed most of the long curly hair in the summer. The mane and tail hair is curly. There is also another interesting characteristic of this horse. The Curly horse is reported to be hypoallergenic. Which means that people that are allergic to horses can tolerate Curlies with reduced or non-allergic reactions. Curly Horses are intelligent, calm natured, and, when handled correctly, are not flighty and are easily trained. Curly horses share many physical characteristics with primitive horses, including wide-set eyes and strong canon bones. Curly horses have particularly tough hooves that are almost perfectly round in shape. That makes them very good in rocky country. Some owners compare Curlies to mules because they think things out rather than panic. The Damele family is still at the Dry Creek and Ackerman Ranches. They still use Curly horses for working cattle. Tom and Peter Damele are raising Curlies and had two “stud bunches” on their ranch this past summer. For information concerning Damele Curly horses for sale, contact Tom Damele at 775-964-1253 or Peter Damele at 775-964-2585. Mailing address: P.O. Box 104, Eureka, Nevada 89316. The Damele family is well respected as stockmen who survived many hard times and carved out a name in Nevada ranching history. The Dameles and the American Curly Horse will always be linked together. As they should be! On October 10-11, 2003, the International Curly Horse Organization held a convention at the Opera House in Eureka and made a field trip to the Damele Dry Creek ranch. Curly Horse owners from several states and from Norway, Sweden, and Germany were in attendance. This writer was invited to attend their meeting and found it to be very informative. For more information concerning the American Curly Horse as a breed, contact the International Curly Horse Organization, http://www.curlyhorses.org - 2690 Carpenter Road, Jamestown, Ohio 45335, telephone 937-453-9829. E-mail office@curlyhorses.org. 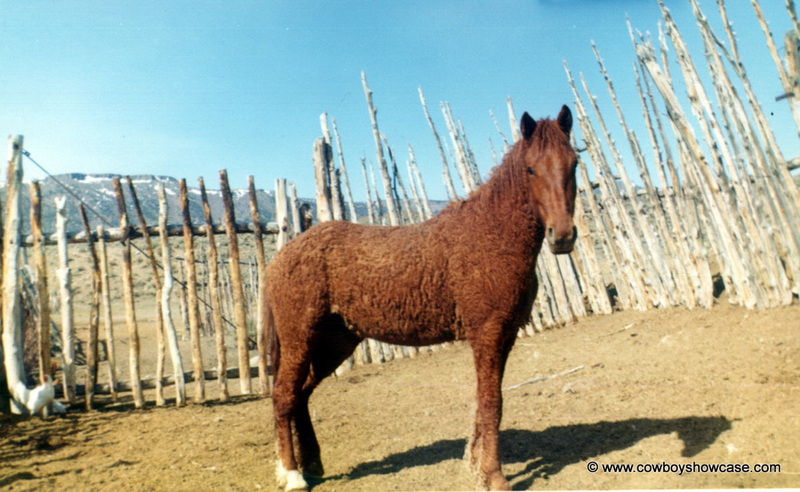 The American Bashkir Curly Horse Registry is the other major Curly breed registry. This registry has closed their studbooks in order to contain their gene pool, and move toward bloodline preservation and breed status requirements. Their web site is http://www.abcregistry.org. Telephone 775-289-4999.